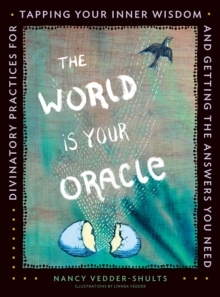 The World is Your Oracle is an invitation to ancient and contemporary divination. You will learn techniques from around the world which suit each individual's intuitive style. The World is Your Oracle will enable you to craft your own questions, delve into your inner wisdom, and find the answers you have been searching for. This innovative divination book presents multicultural techniques from around the world--both ancient and contemporary--designed for each individual's unique situation, desire, or intuitive style. Author Nancy Vedder-Shults, Ph.D., presents you with all the information you will need to select the most effective technique for you based on what appeals to them in the moment; whether it be a technique that dovetails with your intuitive strength (kinesthetic, auditory, visual), or simply work your way through all the techniques for fun and self-awareness.